Registered Architect, 40 years experience, State Agency Architect overseeing public school construction & recognized security specialist. There will always be events that will have such a strong impact on our lives that we will always remember exactly where we were and what we were doing the very moment we got that news. 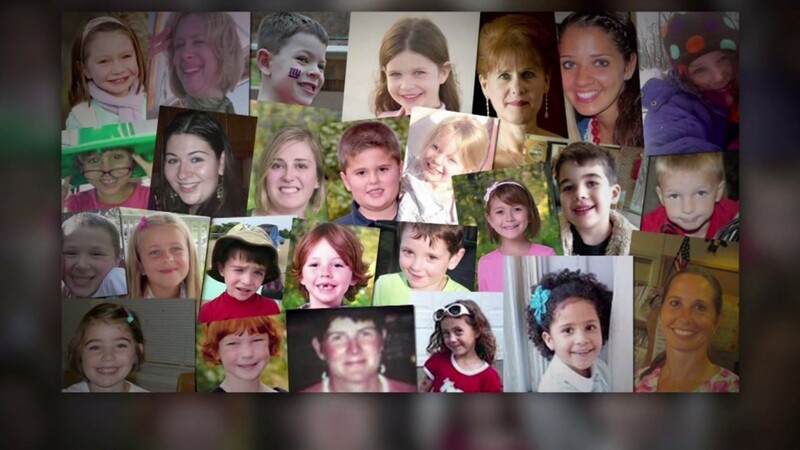 December 14, 2012, is indelibly marked in our memories as 20 young lives, and six adults were taken in Newtown, Connecticut, at Sandy Hook Elementary School. At that time a national debate was reborn as memories of other past school shootings were drudged up. What could we learn from such a tragedy and past ones? What solutions are there? “Run, Hide, Fight”, ALICE, SRP, SRM, and many others offer preparedness solutions. Of those, which is best? What else could be done? What options are there? “Bulletproof” windows do not exist, bullet resistive is the only obtainable alternative, which means that all glass will be breeched at some point. Windows can be reinforced to help provide an impedance for such potential perpetrators with hurricane films. An inexpensive alternative to “bulletproof” glass and helps defeats the active shooter’s greatest two allies, surprise and speed. Leaving the questions like, where is a safe haven, and how do we protect our children while they learn? The Sandy Hook shooter forced his way into the school, something that generally does not occur in school campus active shooter events. The shooter used surprise and speed to create a high numbered body count to create his wanted infamy. The shooter did not go very deep into the school building, staying largely near his entrance point. The shooter passed up some rooms, while entering others. One event cannot yield any patterned information in which a stable enough model can be developed to create a response plan, however multiple cases may yield just such insights. Are there other cases that can bring such revelations? A possible positive answer to that question just might be found by looking at the other two mass school shootings in U.S. history, Columbine and Virginia Tech University. Let us go back to April 20, 1999, in a high school in an unincorporated area of Jefferson County, Colorado, Columbine High School. On that day a unique event occurred as never happened prior to that day, the first mass school shooting on non-post-secondary campus. This event set out major changes in how society and law enforcement views and responds to subsequent events of this nature. You can find all the records for the Columbine shooting by clicking here. The shooters were current students of Columbine High School. They belonged on campus at the time of the shooting, planning the attack for a very long time. Because it was the first, many “lessons learned” were compiled after the event came to its conclusion. As the first calls came in, law enforcement waited for SWAT to arrive before entering the campus. The current law enforcement approach is immediate entrance onto the campus and neutralize the threat, even if there is no other back up. It is a “go alone” if need be attitude. The main priority is neutralization of the threat and prevent further losses. 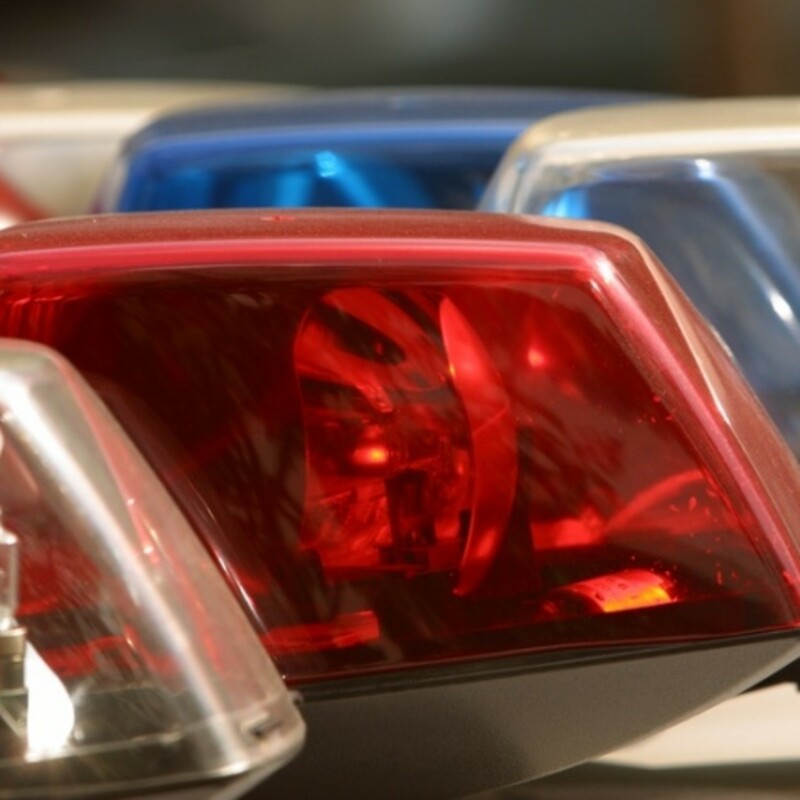 First responders are NOT there to help or tend to the wounded, although a few law enforcement agencies are sending paramedics in with these teams to treat victims, if it is deemed safe to do such. Columbine saw law enforcement waiting an extended period to enter the campus, while the shooters still continued to shoot at law enforcement from the building. The shooting by the gunmen started at 11:19 AM with the police SWAT team entering the school campus at 1:09 PM. Contrast this to Sandy Hook when the first shots were fired at 9:35 AM and the first police officer entrance to the school was at 9:39 AM. The response tactics between the two events were remarkably different. While Columbine represents the first of this type on a non-post-secondary campus, it certainly appears to have the beginning recipe for a response approach. These shooters started in the cafeteria during a scheduled lunch period and with them not only did they have fire arms, they also brought homemade explosives. 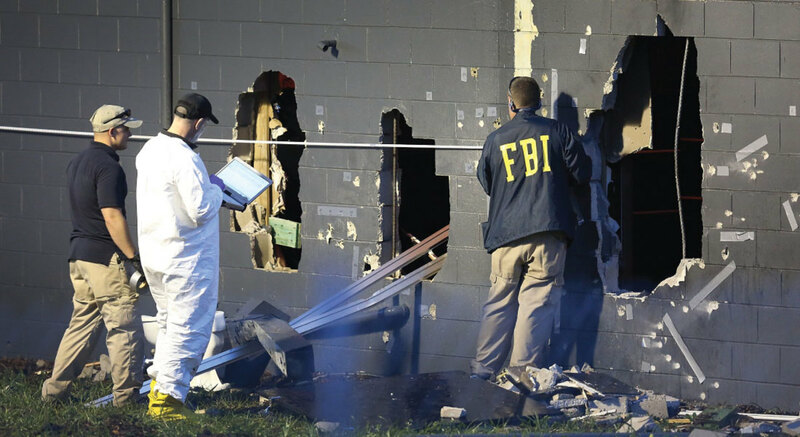 Explosives that had they worked the way it was planned, would have significantly raise the death toll. Columbine High School had the cafeteria and library in a two-story configuration, with the cafeteria on the lower floor. It is these two spaces that most all the actions and movements of the shooters took place. 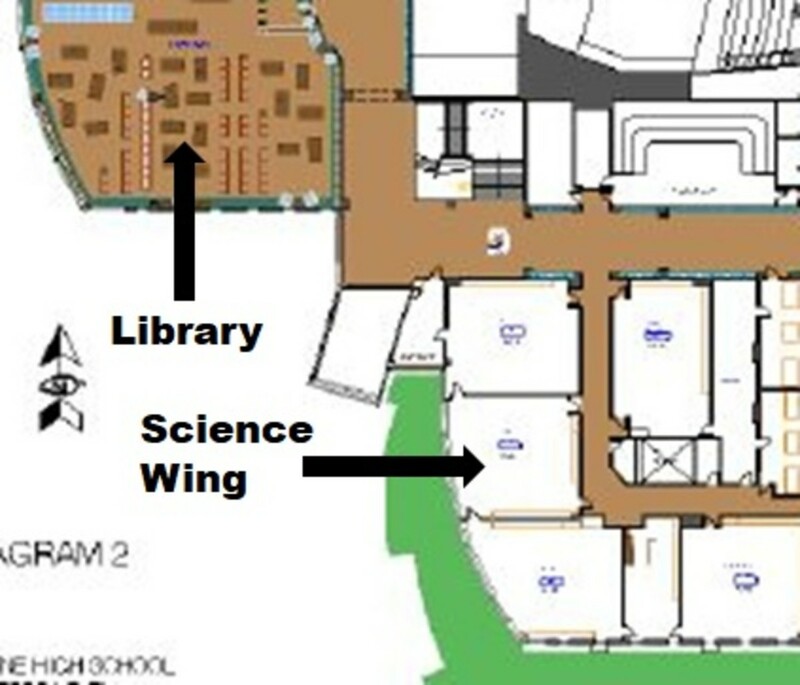 However, between 11:36 AM and 11:44 AM, about 17 minutes after the first shot, the shooters made an incursion into the adjacent science wing, as seen in the map below. This incursion into the science wing starts to shadow some similarities to other shootings. For instance, it is reported by witnesses that the shooters’ behavior appeared directionless in their movements, not clearly thought out. Maybe this incursion was a side thought to the shooters as they might have had more available time than they had planned. Maybe this was a way for the shooters to “kill time” as one might say. Had the shooters even expected a quicker response by law enforcement? As it may be, this incursion was not as well planned as the rest of the attack might have some light shed on the development of their tactics. It was reported that the shooters peered through the windows of locked classroom doors, even making eye contact with occupying students, yet made no forced attempt to gain entrance to those rooms. It is also reported that the shooters would stand at the doorways of rooms as they indiscriminately fired into classrooms, occupied or not. It appears they did not re-enter the rooms. The shooters started their reign of terror at 11:19 AM, and taking their own lives ending the killing at 12:08 PM, an elapse time of 49 minutes, in which 12 students and one teacher died. It should be noted that some school shooters have had Columbine materials in their possession at the time of their shooting events. I would urge restraint in making a big deal about this last comment, as I have failed to find a significant connecting link with Columbine and most all other school shootings. What was the mindset of the shooters? It will never be known for certain, however we may have some indications, or at least questions. Why did the shooters see others students in locked classrooms, looking into their eyes, and not attempt to kill them as well? Why fire into empty classrooms? Why did they go outside the cafeteria and library? Did they not go into classrooms because they might have had a fear of becoming trapped in the room and not being able to proceed with their diabolical plans? Did they have the same sense of urgency to complete their plans as we have seen in other school shooting cases? Has the change of response since Columbine created that sense of urgency for shooters in subsequent cases? April 16, 2007, 9:40 AM shots ring out on the second floor of Norris Hall at Virginia Tech University. In the subsequent 11 minutes, 32 students and faculty will lay dead, and 17 others are injured, and the gunman dead by suicide, the deadliest school shooting in U.S. history. As this study is about active shooter events in K – 12 schools, do not get bogged down in the fact that VTU is a post-secondary education institution. The task of identifying a potential activities profile of shooters in school shootings should be focused on the shooter’s actions and intentions, not the facility inhabitants. That is why VTU should offer potential solid insights into potential response mechanisms. First, Norris Hall is designed just like many high schools. The picture bellow is that of the hallway the shooter walked down that tragic morning. It looks like many high schools. This is called a double loaded corridor, meaning that each side of the corridor has a room that the corridor serves as a circulation route. Second, the shooter appears to possess many of the attributes other K – 12 shooters hold. For those prone to conspiracy theories, please do not make much of the timing. Yes, the VTU shooting started much the same time as Sandy Hook, there is no credible data to make such a link toward school shootings. Norris Hall was an “L” shaped building, three stories above ground, and one-story underground. The shootings took place in a very limited area of the building, four classrooms on the second floor of the south wing, although the gunman attempted to enter a fifth classroom, but was repelled by the students in that classroom. The following movements are included in the report presented to the Governor. After killing two others at 7:15 AM, at 9:15 – 9:30 AM the shooter is seen outside Norris Hall where he chains the doors shut on the inside of the doors on three of the main entrances, but no one sees this action. The shooter places a note on these chains saying that a bomb would go off if anyone tried to remove the chains. The note was discovered by a faculty member who then carried the note to the Dean’s office on the third floor (page 89, of the report). This action was contrary to VTU policy which required police to be notified immediately for all bomb threats. As a person from the Dean’s office was about to call the police, the shooting began on the second floor. All hell breaks loose at 9:40 AM as the shooting begins. The map above reflects the shooter’s movements. 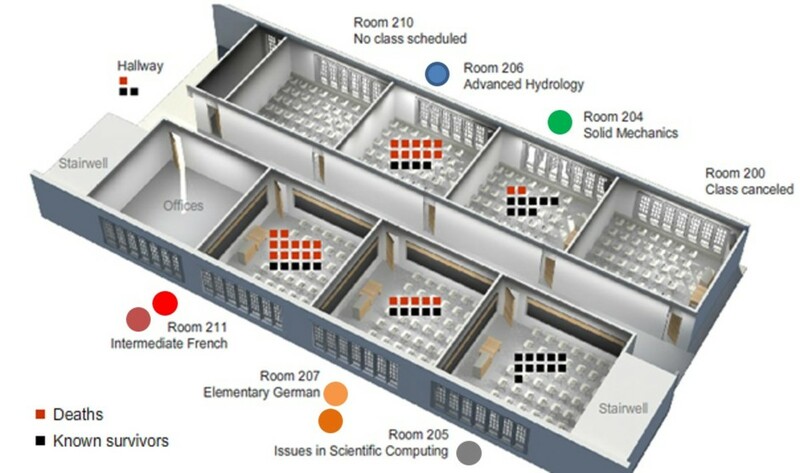 The shooter begins by entering Room 206 (blue circle), Advance Hydrology, where he kills the professor without a word, then starts shooting students. The shooter then exits the classroom going across the hallway to Room 207 (yellow circle), Elementary German, where he kills the Professor and several students near the door that went to investigate the noises; he then entered the room, going up and down the aisle shooting others, and exiting. Hearing the gun fire, the substituting graduate assistant and students laying on the floor with their feet towards the door, barricade the door to Room 205 (gray circle), repelling the shooter’s entrance even as he fired through the door. On hearing the shots, the teacher in Room 211 (red circle) asks a student to call 9-1-1. A student tells the teacher to put the desk in front of the door which is done, but the shooter nudges the door open and enters. The shooter walks down the rows of desks shooting people. The student on the phone to 9-1-1 is shot by the shooter in the leg and drops the phone. Another student picks up the phone and is heard by the shooter, who shoots that student twice, grazing the student’s head both times. Student falls and plays dead keeping the phone cradled under the student’s head and leaving the 9-1-1 line open. At 9:45, three minutes after the first phone call, the first police officer arrives at Norris Hall. Back in Room 207 (orange circle), Elementary German, two uninjured students and two injured students hold the door shut, temporarily repelling the shooter. Within two minutes the shooter returns, opening it an inch and fires shots around the door handle, then leaves, leaving five dead. The shooter returns to Room 211 (dark red circle), Intermediate French, re-enters and goes up and down the aisle shooting people again, leaving the room with 12 dead. Three students survive by pretending to be dead. A janitor sees the shooter and flees downstairs. The shooter attempts entry into Room 204 (green circle), Solid Mechanics, where Professor Liviu Librescu braces the door with his body and yelling for students to get out the windows. The Professor is shot through the door while students push out the screens and jump or drop to the grass or bushes below. Ten students escape this way, the next two students are shot while attempting to escape. The Shooter returns to Room 206 (blue circle) and shoots more students. By the time he left, the Professor and nine of 13 students were dead, two injured, and two left unharmed. At 9:50 AM, using a shot gun, police open the lock on the fourth entrance to Norris Hall. Police hear the sounds of gun shots and follow them to the second floor. The shooter shoots himself in the head just as the police reach the second floor at 9:51 AM. The shooter had returned to rooms more than once methodically shooting. The shooter sometimes shot from the doorway, other times entering the room walking around shooting. Doors were NOT lockable from the inside of the classrooms. Each room had a desk and a podium, with the podium bolted to the floor. Total time for the event was between 10 and 12 minutes. Ended with the shooter’s suicide. Key for those that survived: barricade, play dead, or escape. Recommended: first responders to proceed to the gun fire as quickly as possible and neutralize the threat. It should be noted that the Review Panel’s recommendation to first responders was just a reiteration of the current police policy and practice. A practice that was a direct development from the Columbine shooting. In this part and the last part of this series a tremendous amount of data has been shared as the three largest school shootings have been discussed. What is now left is the piecing together to see if anything can be learned towards a goal of an activities profile for these evil and heinous individuals. What lessons can be learned? 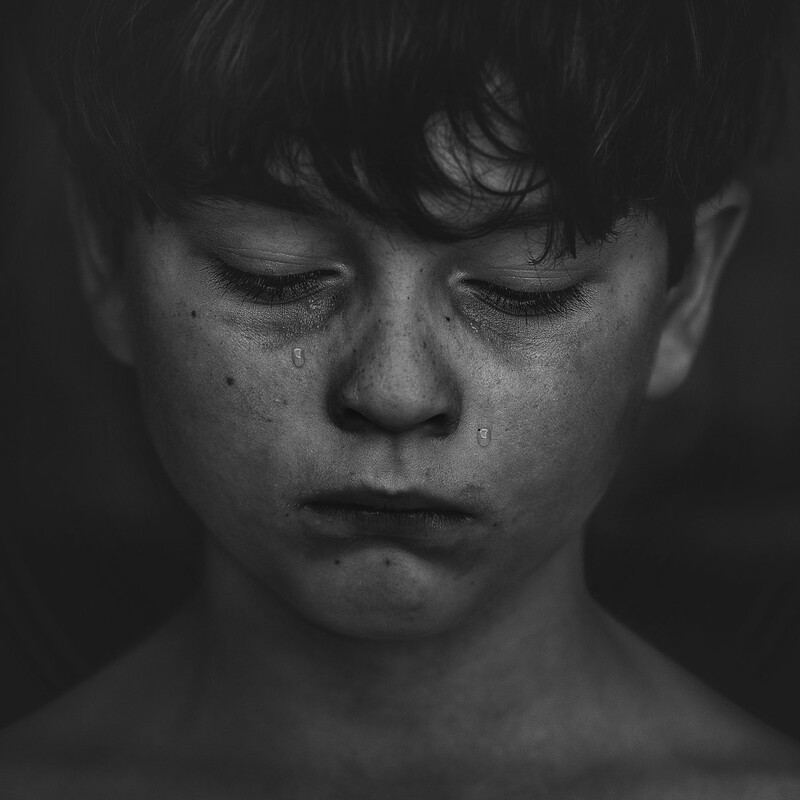 What actions can be taken to protect society’s greatest asset, our children? 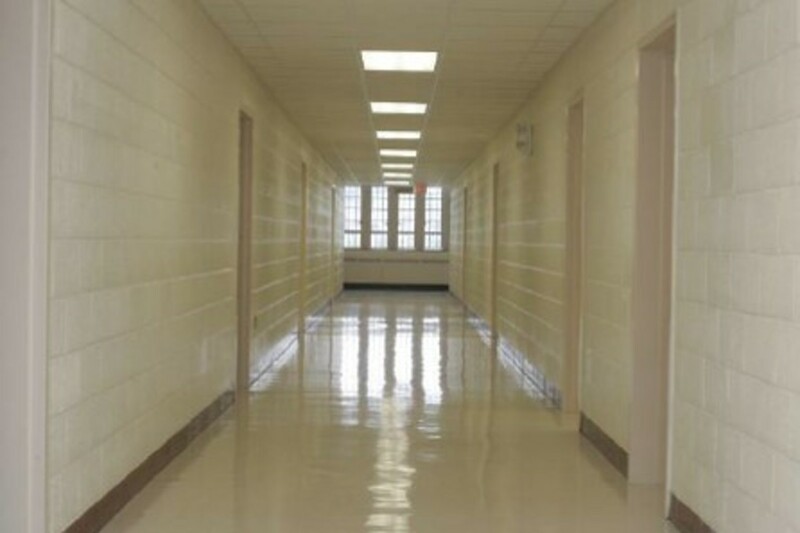 Can facilities be hardened against attacks, yet not feel like prison to those that occupy these facilities? How do ERP’s and other preparedness programs fit into a defensive strategy? What is appropriate and inappropriate to discuss with respect to school security defense plans? In the next part we will start to assemble this data and see if cohesive ideas and plans can be developed to counter what the data may suggest. What “out of the box” solutions have been taken by others?